We are a Houston area company specializing in burglar alarm, fire alarm, video surveillance, structured cabling, automation, and audio visual design and install. We serve both the commercial and residential markets. We offer a wide range of services to fit your needs! Looking for that awesome home theater setup where you can relax and make all your friends jealous? Lets do it! Are you wanting a comprehensive security camera and alarm system to keep you and the family safe through the night? We have the options and equipment to make it happen! Do you need to upgrade your audio throughout the house and out by the pool? Do you want to be able to play different music in every room? We have the whole home audio and outdoor audio solutions to get the job done! 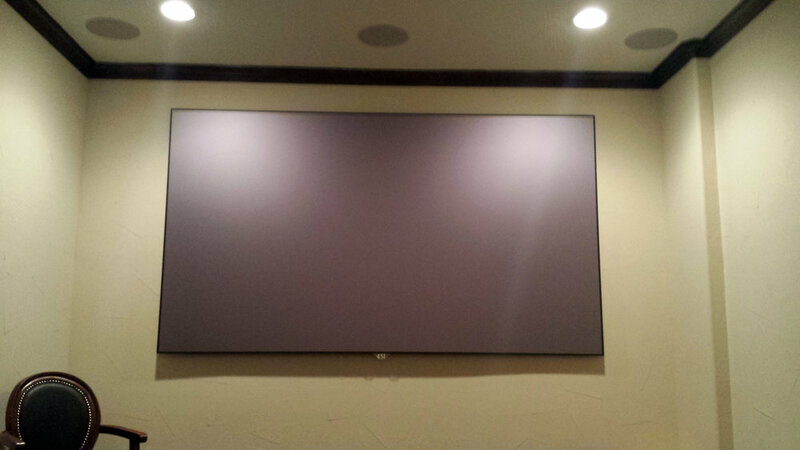 We have a wide range of options of speakers, projectors, screens, and televisions along with custom control options, we can work to make your dream of home theater or media room come true. Brands we use are Sony, Samsung, JVC, Yamaha, Denon, Polk, Episode, Screen Innovations, EPV Screens, and many many more . . . Specializing in IP and HD over Coax video surveillance systems. Whether you are looking to update your existing system to HD capable platform or wanting the latest 4K commercial security camera. We have the experience and products to complete any job. Do you want to add speakers for background music in your formal dining room for family gatherings and holidays? Want to rock out while working in the office?? Like listening to music while getting ready for the day or a night out? How about amping up the audio around the pool to take your summer parties up a notch? Whatever it is you are looking for we can help. A security alarm is a great tool to keep your property protected and give you piece of mind. Whether you need a standard alarm system to keep everything secure or are looking to have complete control of your alarm, lights, and door locks via an easy to use mobile and web app, we have the solution for you. Centralized cabling makes for easy changes and troubleshooting of home network, phone, and cable. Bringing all the comforts of your home together in an easy to use, comprehensive, and reliable format. Simple control of your television, audio, HVAC, lighting and more . . . .
Let us bring your project to life!